Imagine a driving nightmare. You don’t know where you should be in your lane, you’re unclear about your traffic signals, or maybe you feel pressure from every other driver around you. Now imagine all of these things combined. Welcome to the reality of cycling in a world of cars. The department of transportation says bicycles and pedestrians comprise 10.5% of all fatalities in Georgia – more than other crash types and users. Worse yet, Georgia ranks 8th among the states with the most bicycle fatalities. Georgia Bikes App exists to reverse those statistics. 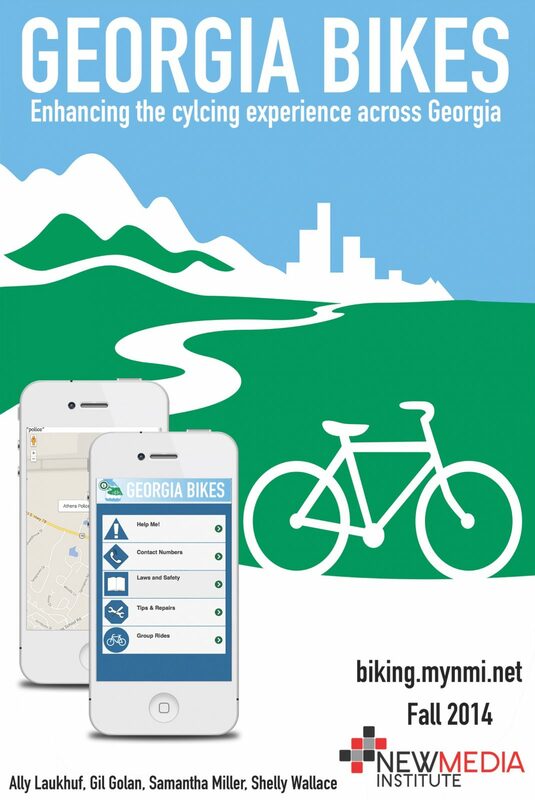 Georgia Bikes App is a pocket-size riding companion for any cyclist in Georgia. It’s a mobile application that includes a quick and easy reference to laws, safety tips, and maintenance. The app also has a feature that allows cyclists to find recommended paths and group rides nearby. And to ensure your safety, the app has a “Stranded” option that allows stranded cyclists fast access to useful resources like bike-friendly taxis or public transportation. The idea for the app was sparked by Georgia Bikes, a non-profit organization and network of bike advocates across the state of Georgia. The organization strives to create a bike-friendly Georgia, and our application is intended to help them do that. Bottom line: Bikes are vehicles too. Our goal is to help facilitate a safe environment for every vehicle on Georgia’s roads.